Many parents think that their children only develop academic skills at school. They don’t realize that if they don’t engage their children in summer learning activities, the kids will lose a significant amount of this year’s knowledge and go into the next school year at a disadvantage. Most students lose about two months of grade level equivalency in mathematical computation skills over the summer months. Low-income students also lose more than two months in reading achievement, despite the fact that their middle-class peers make slight gains. 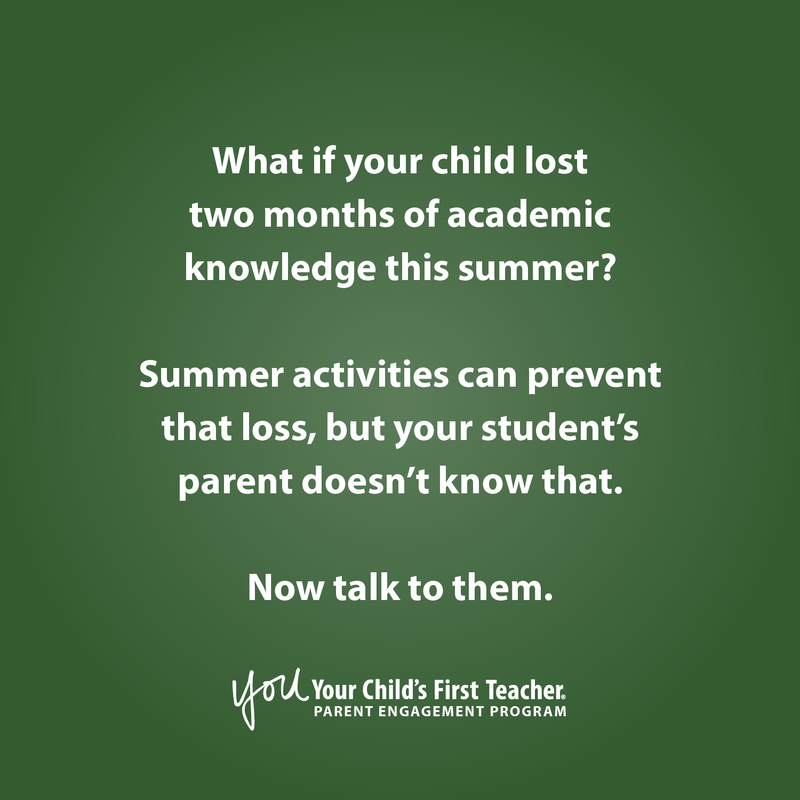 Talk to your students’ parents before the end of the school year. Send them an email or host an informal end-of-year open house in your classroom. Encourage them to purchase a math workbook and rent books from the library for their children to use over the summer. Parents need to know that these small steps can keep the students’ skills sharp for the next academic year. Join the conversation on Twitter by using the hashtag #NowTalkToThem.